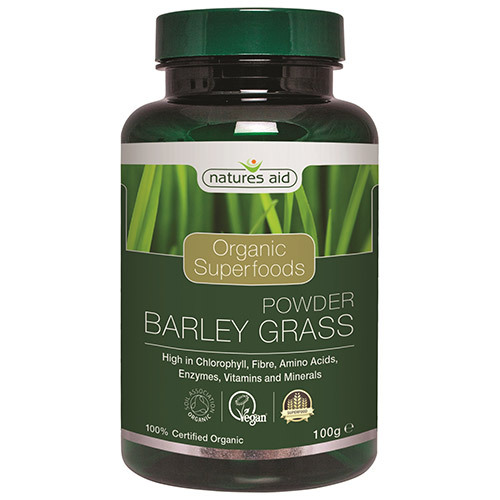 Natures Aid Organic Barley Grass Powder boasts an array of vitamins and minerals along with containing high levels of fibre, chlorophyll and enzymes. It is also an excellent source of protein containing 18 of the 22 essential amino acids. 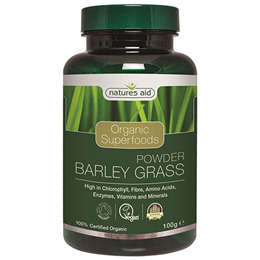 100% Pure Organic Barley Grass Powder. Mix 1-2 teaspoons (2-5g) daily into juice, shakes, smoothies, soup or yoghurt. Below are reviews of Natures Aid Organic Barley Grass Superfood Powder - 100g by bodykind customers. If you have tried this product we'd love to hear what you think so please leave a review.